Certificated Locations (CLs) are five-pitch privately owned sites that are sprinkled across the UK. They offer a wide variety of holiday locations to choose from, whatever your interests. The CL of the Year Awards recognises the very best sites and reward hard-working owners who pull out all the stops for members. If you regularly use CLs, you’ll know what they have to offer – some sit in picturesque rural settings and others are near to the city for a sightseeing break. This year, there will be three National CL awards, as well as recognition for Best Newcomer (for all CLs that have opened in the last two years). Please use the form below to nominate your favourite CL or post us your nomination using the form in your April 2019 magazine. The winners of Certificated Location of the Year 2018 were Avon Bank Meadow. Close runners up were Poole Farm and Keal Lodge. Avon Bank Meadow Certificated Location is run by Craig Brown and Sandra McAllister. It is situated on the banks of the River Avon and beside an island/lock where you see many beautiful boats sailing by. The location is idyllic and the river itself is a major draw for caravaners. The river brings a host of opportunities such as fishing, river walks, boating and wildlife or birds. From the site, a 10-15 minutes’ walk along the river takes you into the lovely, historic town of Pershore which has a lot to offer, including a market, independent local shops, a supermarket, a leisure centre, a cinema, a park and an abbey. There are various festivals and events held during the year in the local area. A particular favourite is the 'Plum Festival' held in August which draws thousands of visitors to the town with markets, a classic car rally, concerts and so forth. In the site’s location of Wyre Piddle, there are two local pubs which are within a 5 minutes’ walk. Cyclists also have a wide range of cycle paths to choose from, so the sporty enthusiasts are more than catered for. 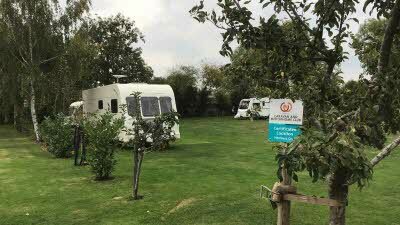 Also at this site, members are within easy reach of the Cotswolds, The Malverns and Stratford Upon Avon. For the Horse racing followers Cheltenham is also within a 30 minute drive. The site is well cared for and the friendly owners make sure that pot holes are filled and the grass is spiked, cut, fed and kept watered. 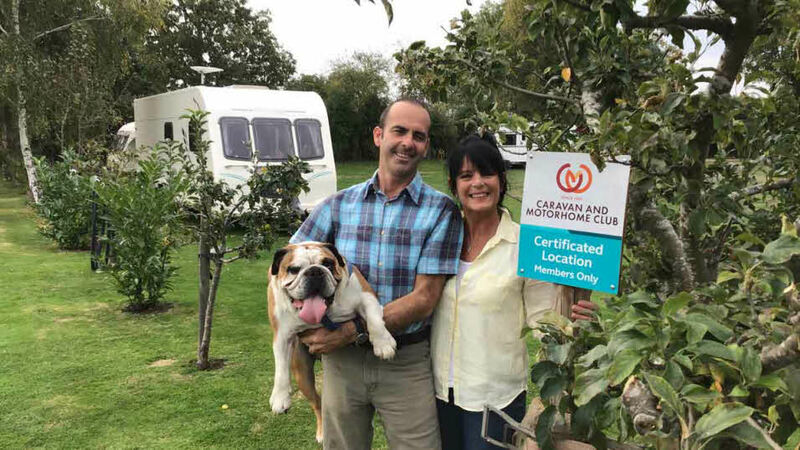 Craig says "maintaining the site is one of the things I most enjoy, and I have been labelled the 'grass spanner' a nickname that was given to me and seems to have stuck." After making many updates since taking ownership, each pitch is now fully serviced with its own electricity, water, drainage and aerial point. They have also installed WiFi and planted silver birch trees as a border and did lots of re-planting. The oweners have also commented that "together we love meeting and greeting our guests and get great satisfaction in making sure everyone has a very happy time here. The number of repeat guests we have and the fact that we are full for most of the year tells us we must be doing something right." 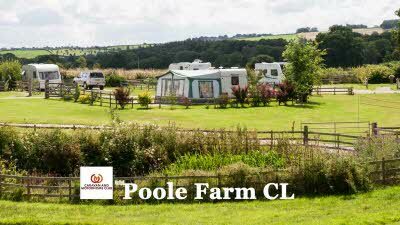 Poole Farm Certificated Location is run by Louise and Greg Holmes with the help of family. It is situated along the Devon & Cornwall border near Launceston, adjacent to the Tamar River. Open all year, each season has something fabulous to offer visitors. The site is ideally placed to explore all the wonderful things which Devon and Cornwall have to offer; historic houses & gardens, idyllic beaches and coves, market towns and rolling countryside. 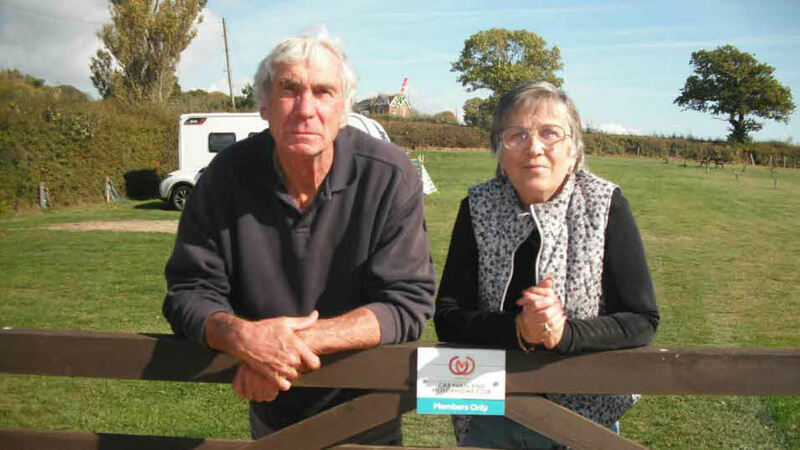 The couple say "it’s a real family affair here – all the family have a role to play. 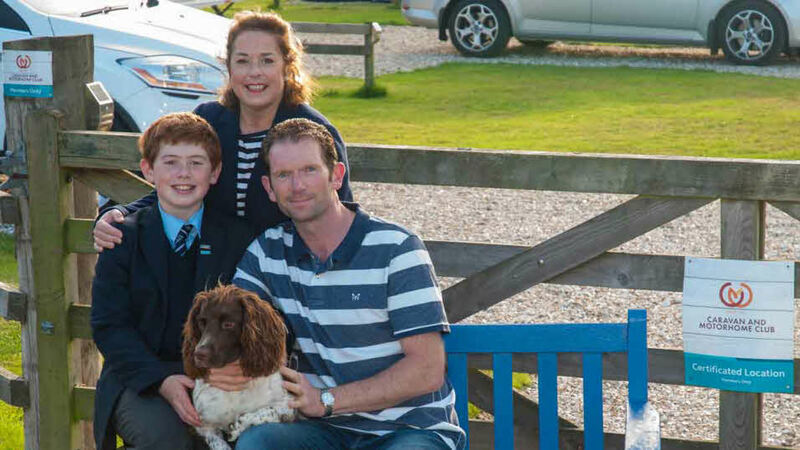 Louise runs the show, young Harvey is responsible for recycling, newspaper delivery, ice-cream runs and on the odd occasion, playing his saxophone in the middle of the site to entertain our caravan & motorhome guests, or running a ‘make shift’ dog agility competition for our four legged friends. Greg is head grounds person, caravan fixer and generally an all-round fab chap." Keal Lodge Certificated Location is run by Alison and Keith Rogers. 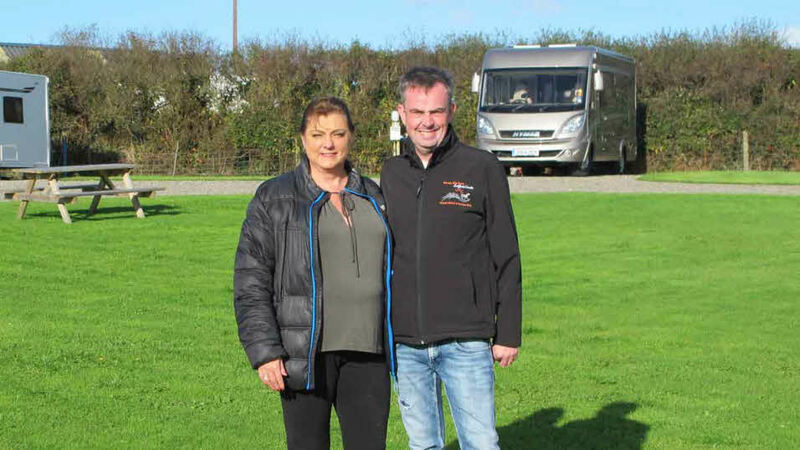 It opened in 1996 and the family had already been very active members of the Caravan and Motorhome Club for over thirty years. The owners say "from the outset we aimed to use our experience to develop a very different site to meet, and exceed, the rightfully high expectations of our guests." Visitors can enjoy countryside which is rich in the beautiful towns and villages, many boasting of innumerable buildings of a ‘Cotswold’ style, whilst the relatively flat terrain is ideal for biking and walking. Members who enjoy retail therapy will value the several towns and cities which are within easy reach - including London by rail (50 mins). 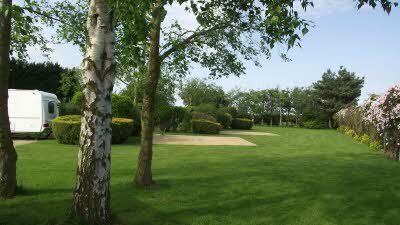 The site is within walking distance of ‘The Deepings’ which offer all the amenities one would expect of a small town. The generously sized pitches, all of which are flat and hardstanding, are grouped around a wooded oval area in the centre of the site and look outwards. This, together with well-maintained planting, gives privacy and open views whilst inside the caravan. The owners were pioneers of the ‘serviced pitch’ concept with all of their pitches offering dedicated facilities since they opened. The site offers a warm welcome and a tranquil stay. The site is exclusively for the use of adults and is extremely spacious (even offering a large ‘dog exercise’ area). Access to the site is very good. Wi-fi is available at no extra charge. Adjacent to the site, but fully screened from it, is our ‘CaSSOA Gold’ Storage Facility which features state of the art security, assuring storage customers that their caravan/motorhome is exactly where they left it and that the system allows only the owner to move their unit (and in the same condition when they come to stay). Keal Lodge has been recognised numerous times with regional and national awards for CL Of The Year in the past. Rodgebrook Farm Certificated Location is run by Carole and Ed Jewett. It is located on the Isle of Wight and opened in August last year. As a new site, everyone visiting knew nothing about them. Their main draw was the Island itself, which is a wonderful place to visit. The said "the fact that they also liked this CL is a bonus." 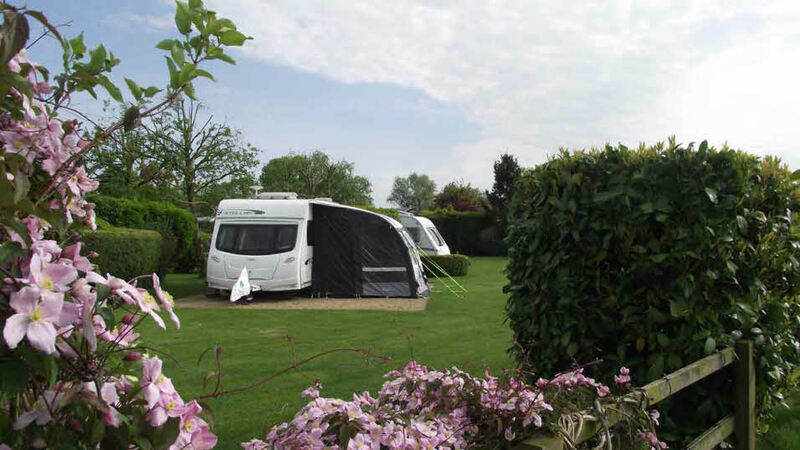 The site offers an ease of arrival and a warm welcome and level pitches. Some vistitors to the site have gone on to say, “this is the way all CLs should be run, well managed, efficient but with the warm human touch”. One said it was a “heart-warming stay”. Special features on site include electricity and water on each pitch, good views of fields and trees and the opportunity for dog walks across the little stream and out to the farther reaches of the place. 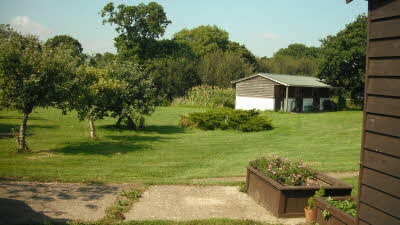 The owners claim it is special for simply being in the countryside with good hospitality. They comment "overall, we love our little farm and want to share it with others. The relaxed daily chats between dog-walkers is an indication that they love it here too. In perspective, caravans have arrived here after 31 years of different gatherings at Rodgebrook. Two sets of couples are planning to come here for their wedding parties next summer." Woody Kiln Farm Certificated Location is run by Dean and Sharon Philpin. It opened on the 28th August 2015. They are one of a small number of CL sites that offer enhanced fully serviced hardstanding pitches. They won National CL of the Year in the first full year of operating, and Regional CL of the Year in 2017. 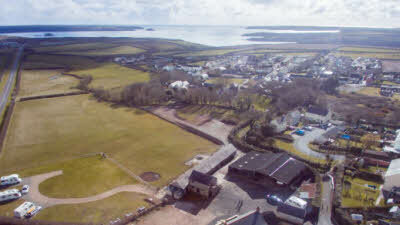 Located in the middle of the beautiful county of Pembrokeshire , visitors go to site for a number of reasons; from walking, cycling, for the scenery and to see the nature and wildlife. The site is within 20 minutes walking distance of the beach and there’s access to the award winning Pembrokeshire Coast Path which is the only way to truly experience the incredible scenery. Stretching 186 miles, the path brings you in touch not only with the magnificent landscape but also the plants, animals and birds. One of the islands, Skomer, has around half the world's population of Manx shearwaters nest on the island and the Atlantic puffin colony is the largest in southern Britain. Within a short distance, you can easily access the larger county towns such as Milford Haven, Haverfordwest and the popular holiday destinations of Tenby and Saundersfoot. The smallest city in the UK, St Davids with its magnificent cathedral is around 35 minutes’ drive. The site is on the bus route to all these destinations. For those who enjoy cycling, another benefit of this site is that there is a cycle route from the site to the National Cycle Route. Nine of this CL site’s nearest beaches are all award winners, including the nearest beaches, Sandy Haven which has a stepping stones across the estuary which leads onto Lindsway beach which was nominated as the Caravan and Motorhome Club “Most inspiring Photograph”. It is a beach which has a great history. The royal family famously bathed there with the Royal Yacht Britannia anchoring in Dale Roads. The royals decided to picnic on Lindsway Beach. Lindsway Bay was also the scene on August 5th 1980 of one of the most dramatic tanker strandings in the oilport’s recent history. The tanker Donna Marika was torn from its anchorage by a strong south-easterly gale and ended up on the jagged reefs of the bay, which triggered an alarming emergency.